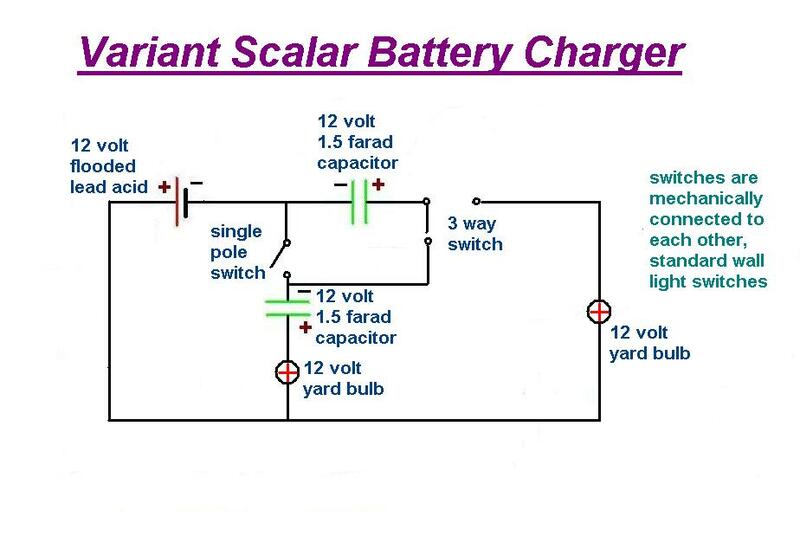 BASIC FREE ENERGY circuit as shown by John Bedini. that can result in an even higher COP. Dave and Matt have shared these basic ideas. students with point this out. in spite failed attempts by "SO CALLED" "ADEPTS"? We can't leave out the HV to LV type of "SPLITTING THE POS..."
You are not going to understand it all yet. Stay tuned. But who really understands what he is doing with the ENERGIZER/Genny? Hi mike, thanks for sharing. The load in-line with series cap. dump, may need to be tuned though, to allow for similar discharge and charge voltage drops and gains in battery. 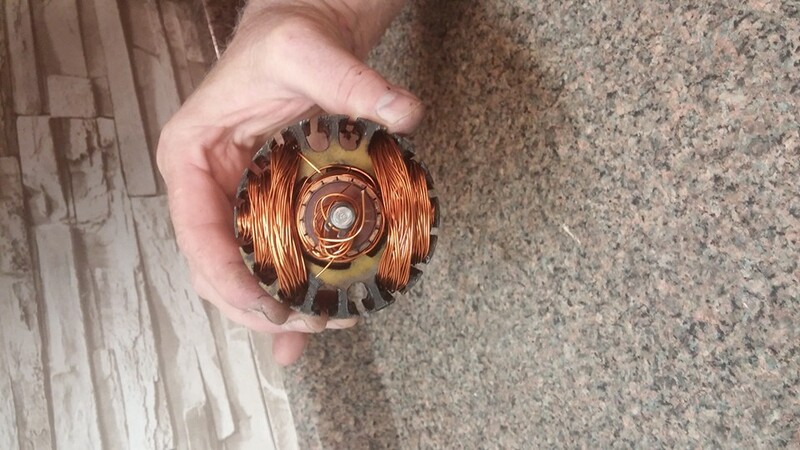 I had to change my circuit to 2 bulbs in parallel there, as originally it worked fine with one, until it blew and maybe that bulb had somewhat different values than the other 12 volt bulb. Last edited by SkyWatcher; 06-01-2016 at 12:34 AM. 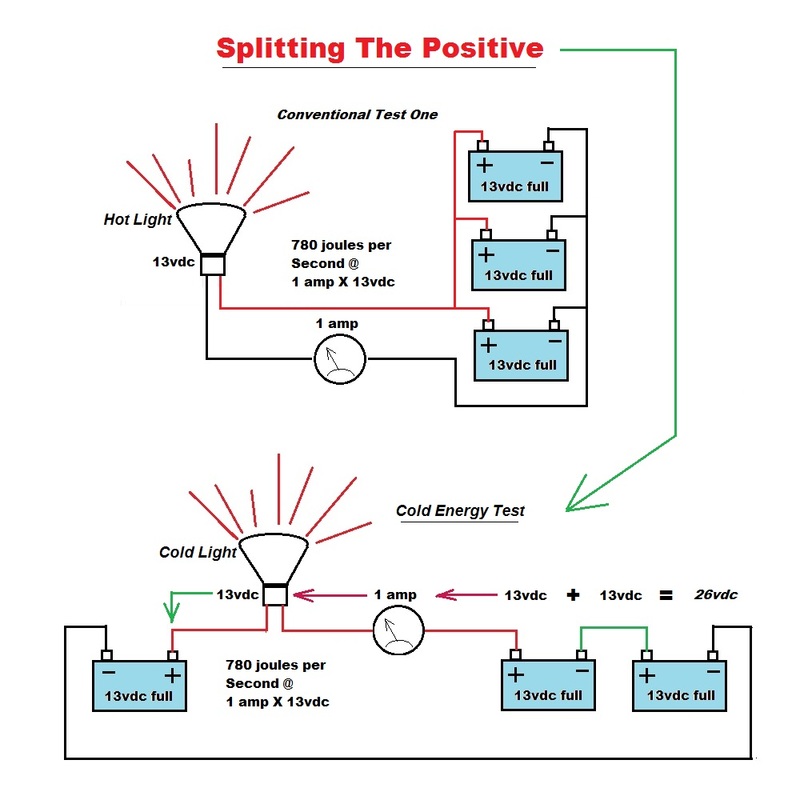 That's the right diagram as far as what Bedini originally showed but in the first video you posted, he is putting the load of the light and motor between the negatives instead of between the positives. At least, that is what it looks like. 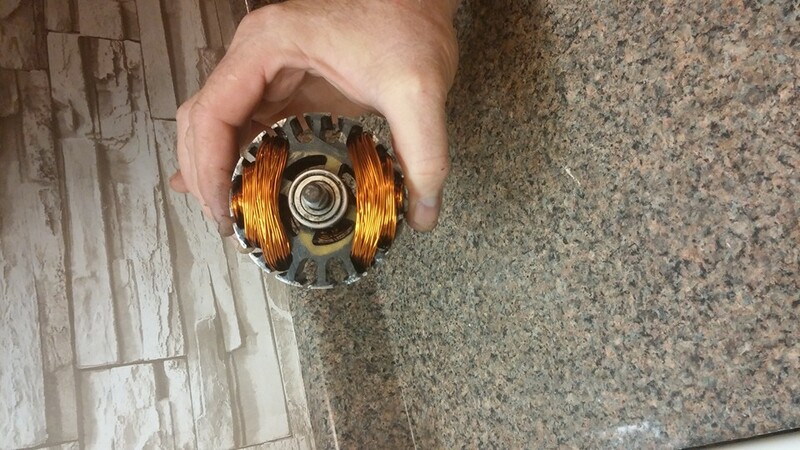 Aaron you are correct, the light is between the negatives and the DC motor is across the single 12 volt battery. I did it like that because it worked both ways. Last edited by jettis; 06-01-2016 at 04:09 AM. If you place the bulb between the negatives, the current still moves in the same direction. You could almost call it splitting the negative but it doesn't change anything. 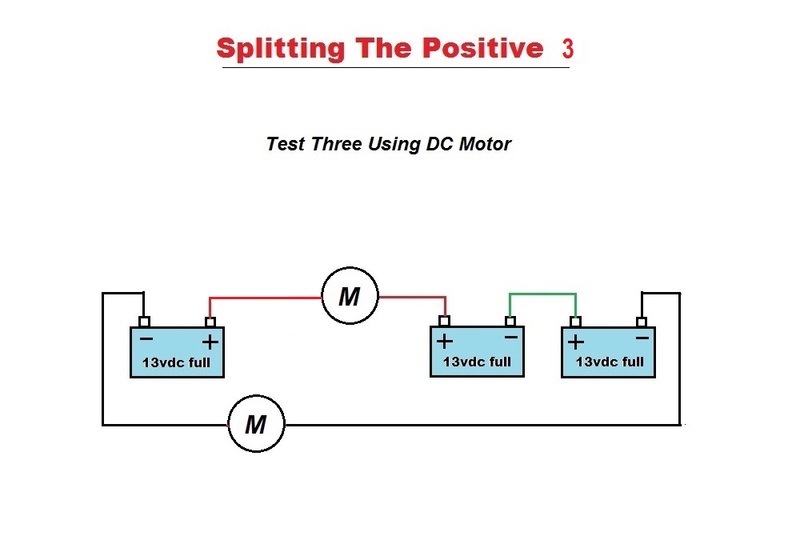 There are variations of different circuits that use the differential between the negatives but is not identical to this 3 battery method - I'll share one at the conference, which is based on an obscure patent that nobody seems to know about. Last edited by BroMikey; 06-01-2016 at 10:19 AM. My Experiments with the above circuit. I first heard of it from I first heard of it from Jerry Decker Keelynet website. 3 six volt batteries and connect as in diagram as above. And two cheaper sweda brand 6 volt batteries. I doubt batteries brand make any difference. One filament lamb globe rated at six volts. Connected batteries as per circuit. Although the diagram does not seem to make sense the bulbs are actually connected to positive terminals. The lamp globe lit brightly for approximately one hour and then began to dim gradually and continued to do so. I though that by disconnecting batteries and rearranged them I could get more power out. Found bottom 6 volt battery total dead and was unable to continue the experiment. The globe glowed bright for approximately 1 hr and then started to dim as per day one.. Disconnected all batteries and left for 6 hours. Overnight. The batteries were placed on top of a 51 cm TV and the Television in standby mode overnight. Tested all batteries separately and found all still held a good charge and lit the 6 volt globe. when connected across each of the battery terminals in turn.. I expected to find one battery total dead as per first day. Two batteries glowed the bulb to a lesser degree than the third battery. Reconnected batteries in the same circuit as before and at present observing reasonable bright glow. Will see how long the globe will remain lit. The batteries combination and globe has been lit from 8.30pm until 2.00 am the next morning the brigthness of globe seemed not to dim and remained at constant intensity. By touching the light bulb with hand does not seem to be heating up as is normal with ordinary bulb and touch battery setup. The colour given off by light bulb seems to more of a copper red light and not the normal white bright light. These claims are difficult to prove as I have no light measuring apparutus to make accurate measurements. I awoke at 2.am and found the brightness had decreased and so I disconnected the light globe from circuit at this time and checked one battery and it seemed dead. I have also noticed interference appearing on a television set nearby (approx 2 feet away) during operation of said circuit. The interfernce does not seemed to affect our local transmitters reception situated approx 5 kilometers away from us. But seems very pronounced on TV channels on distant channel reception on channels 7 9 and 10 The picture and reception on these channel is almost crystal clear but an annoying cracking noise and a pattern that could be caused by a high voltage discharge or a faulty switching faulty relay seems to be causing the interference,both which we don't have here. To receive the distant TV channels we have 60 foot antenna and booster equipment and this normally enables reception on most but not all nights a good reception from these distant TV transmitters. The three channels are located in our state capital Adeliade approx 200 kilometers from us although the distance is propably shorter cross country. Australian TV stations are transmitted in The Pal format. The television set mentioned is a 51 cm Panasonic TV. At approx ten am following morning checked all batteries with light globe placed on each individual terminal an again and found all batteries have a charge enough to put out normal white glow of bulb. Reconnected circuit as before and found globe is still glowing although brightness is not as great as previous day and seems to be only a pin pick at centre of filament. It appears my observation that the battery setup was causing interference to the TV of previous day was incorrect. The batteries were not connected for some time and interference has continued so it seems interference is coming from some other source. I connected the three batteries in parallel and left for six hours without a load across terminals. Connected batteries as per circuit illustration above and bulb again glowed for approx 7 hrs and as so went dim gradually again. Disconnected the batteries and left to stand for 8 hrs. Tested the Blue battery by itself by connecting globe across blue battery (in photo) terminals and tested to see how long battery and globe together glowed. The result the lightbulb glowed for approxiamately 6 hrs and gradually reduced light output strength over this time period until battery seemed exhausted. Tried to recharge battry using parallel connection as previously mentioned. result not encouraging and now consider this battery is know totally dead and useless. The other two batteries remain still holding a charge and the light bulb glows about 1/3- 1/2 strength of brightness when placed across each set of battery terminals as compared to when the batteries were brand new. Normally I would have expected all batteries to be totally dead after 6-12 hrs but this was not the case. What I�m not sure ,but I encourage you to the experiment for yourself. If you have performed this experiment yourself I would like to know what your results were. small batteries and a boat. curve all of their own. We want a less complex calculation. a fully discharged battery pack. side or the 26vdc fully charged bank. on the left as well as power the load. cycle times, measure voltage dropping off curve. any advantage by counting JOULES. count your many joules they are like blessings. Last edited by BroMikey; 06-05-2016 at 02:05 AM. 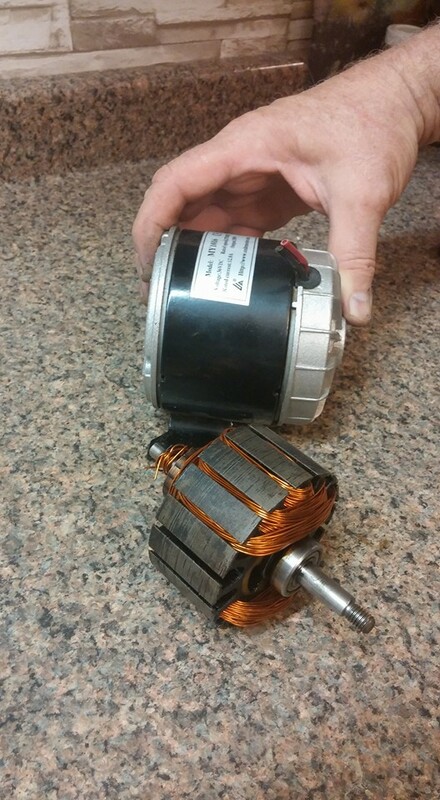 Gotta have a booster when running small motors. I love to copy answers off the next guys page. Sweet. Last edited by BroMikey; 06-05-2016 at 02:38 AM. 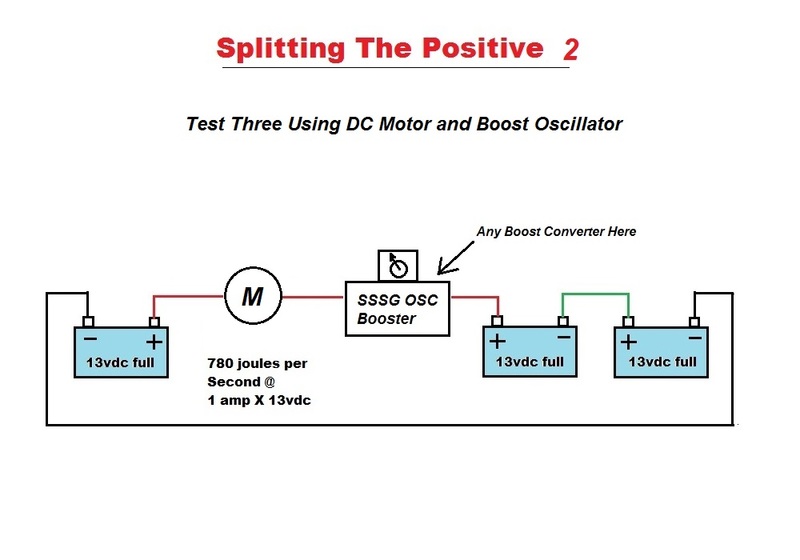 I have tested several different boost converters. Their efficiency ranges from 87-98% efficiency, so choose wisely when selecting one. We have posted the correct wiring schematic for the boost converter several times. A standard boost converter has a positive and negative in and a positive and negative out. So there are four wires, NOT two as you have shown here. A COP>1 device is possible with average components. Matt's motor raises the COP. A more efficient boost converter raises the COP. ADJUSTING the output Of the boost converter raises the COP. Having rested batteries to rotate into the setup raises the COP. Batteries that have been charged OR discharged like to rest before you mess with them. We have gone over ALL of this before but no one listens. Hope you have better luck. Thanks that is what I am doing right now "Brain storming booster converter"
connection diagrams for my SSSG which is already a very high COP device. 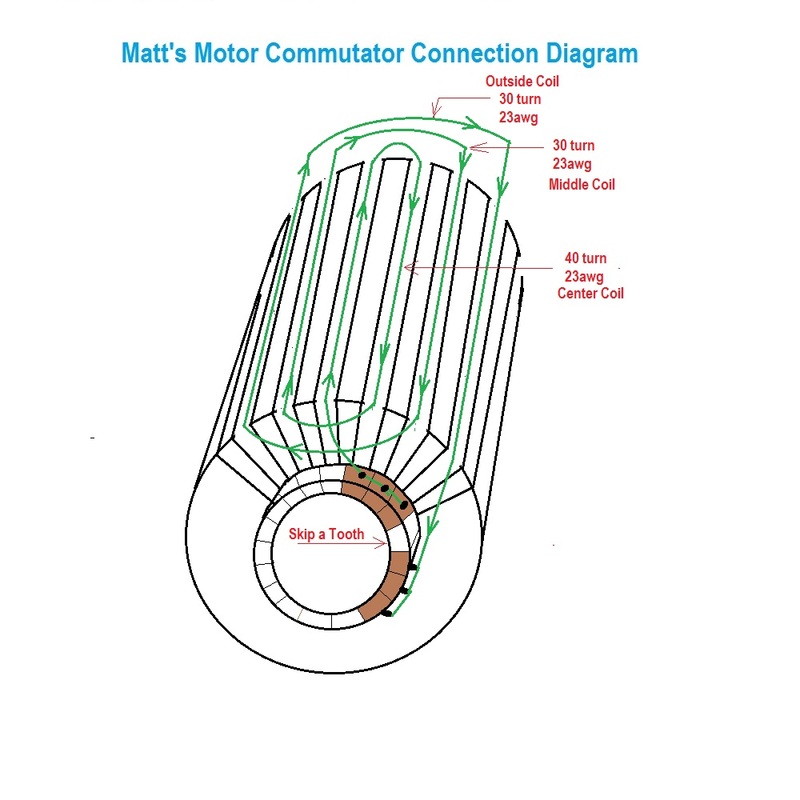 Thanks 4 that be right back with your diagram and Matts motor info. Last edited by BroMikey; 06-05-2016 at 04:22 AM. Do NOT run loads between the negatives. In other words, do NOT split the negatives with a load. Matt has explained in detail why you shouldn't do that. It will ruin your batteries. Yeah Aaron that is my video... It is an older vid. Good to hear your going to share more of your work. I read that explanation from Matt... I have not seen that myself, but I do not discount what Matt says either. Do NOT run loads between the negatives. direction, that I remember, finding? That might be hard to do. Oscillator builds are going to pay off in more ways than one. Which wiring diagram are you unable to find.... the one for the motor modification or the one for the boost module circuit? but not all till now. Here is a rough draft of what I think he said. looking down onto the I post. Last edited by BroMikey; 06-08-2016 at 12:13 AM. There you are. Both but I think I have the motor. The boost I could guess. 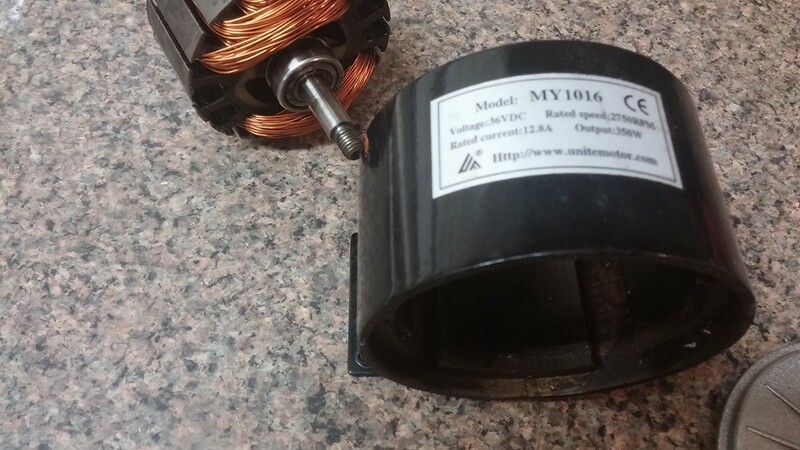 Post 969 In the Basic Free Energy Device thread has a link to the pdf of building the motor as well as a link to the schematic of the boost converter. Gotcha Great Video big gains. shaft is a nominal loss? personality conflicts the facts will go down much better. It has enough torque to run s generator and can run at higher voltage than the standard motor. [QUOTE=BroMikey;289200][SIZE="3"]Gotcha Great Video big gains. In other words the mechanical portion of the rotating shaft is a nominal loss? If your asking this your just not getting it yet. 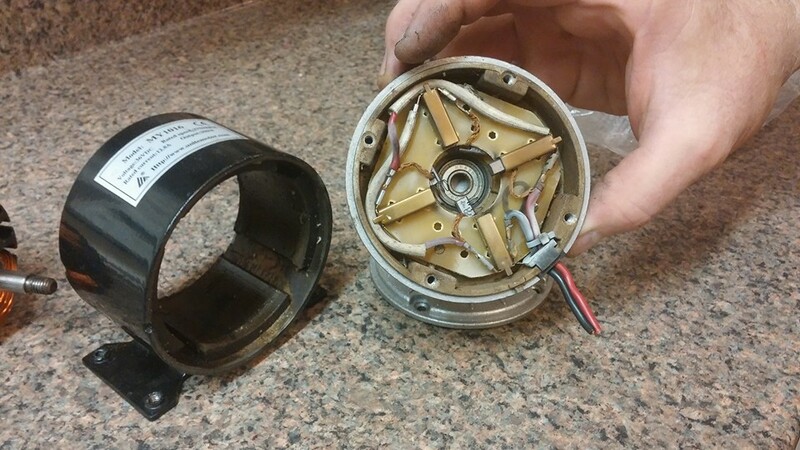 Not only are you transferring almost all the power between batteries, on the way it spins the motor for FREE. Free to do what you want with. Like spin a generator, to make up for the small losses and some extra. It's a key to the system laid out here, the free load between the positives! [SIZE="3"]Gotcha Great Video big gains. Thanks MAN keep me on track. That stuff is the worst. a little slack so you can push it around flat. right in the first shot. 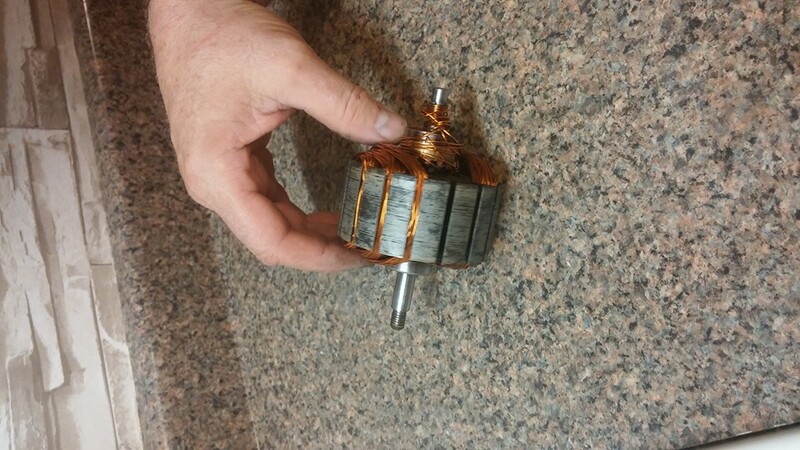 It's a bit bigger motor maybe by a few millimeters. and used a pin to tap the windings out. 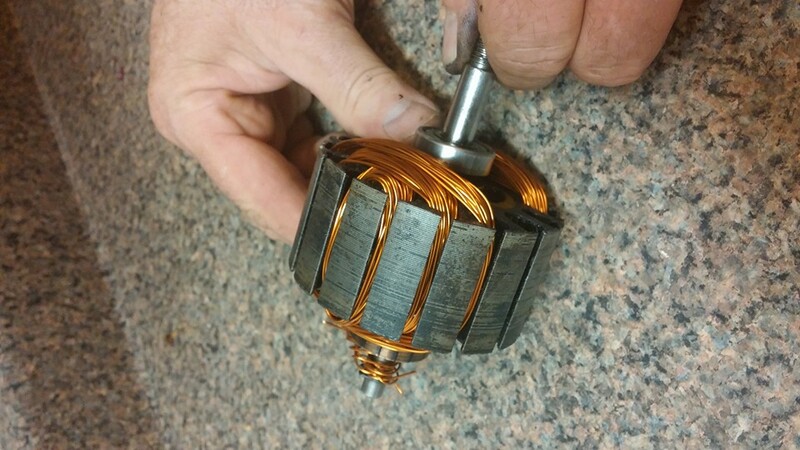 Don't forget to clip your wires on the commutator. Plenty of room on this one to clear the wire. cut off the old windings and rewind. 7 years and all my old slang is coming back to me. It's all the same thing, plenty of good folks everywhere. Last edited by BroMikey; 06-08-2016 at 09:25 AM. to perform a given task. always buy for around $15-$20 per quart at Sherwin Williams. chemists play getting you to buy the same thing for far more. that much time to let it set up as it gets thicker and thicker. surface, it is that hard. of model airplane glue that will knock your sockets off. guys removed the label and sell the same stuff for $100. that it may not work and so forth. Ignore them. up commonly available Poly resins found at your near by hardware. like stuff for out door decks. I have used it at temps over 400 degrees and it doesn't blink. stuck to your brain. It is that bad. Be careful and you will be glad. Last edited by BroMikey; 06-10-2016 at 08:08 AM.